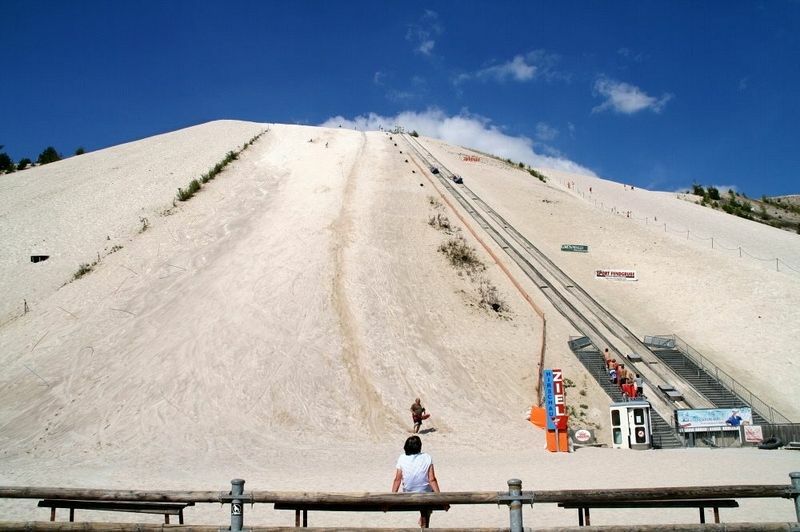 Monte Kaolino is a 120-meters tall sand dune located in the outskirts of the city of Hirschau, in southeast Germany. 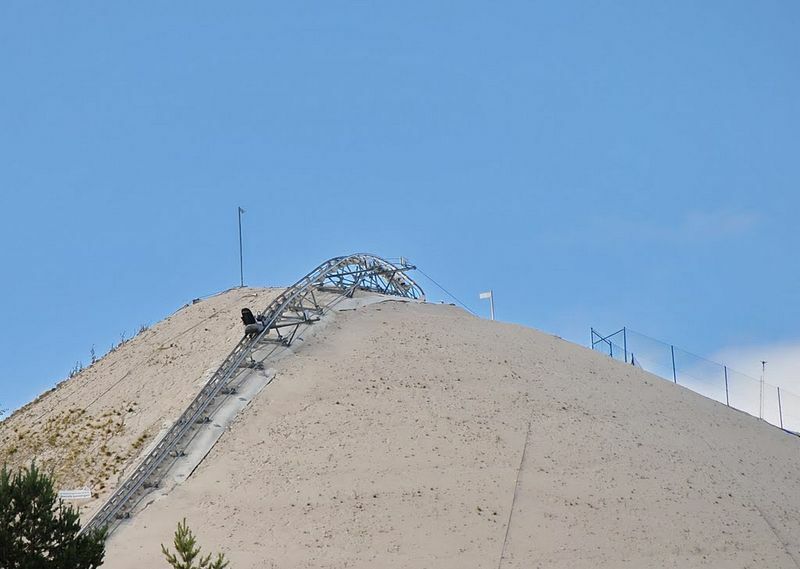 It consists of approximately 35 million tons of kaolin-quartz sand, a by-product of more than 180 years of kaolin mining in the area. 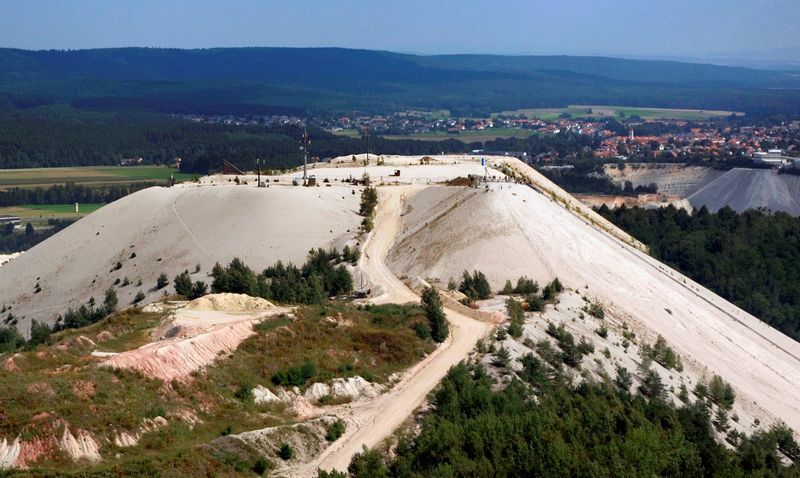 Kaolin or china clay is rich in a mineral called kaolinite that is used in the production of a wide variety of things such as paper, ceramics, toothpaste, paint, and cosmetics, to name a few. 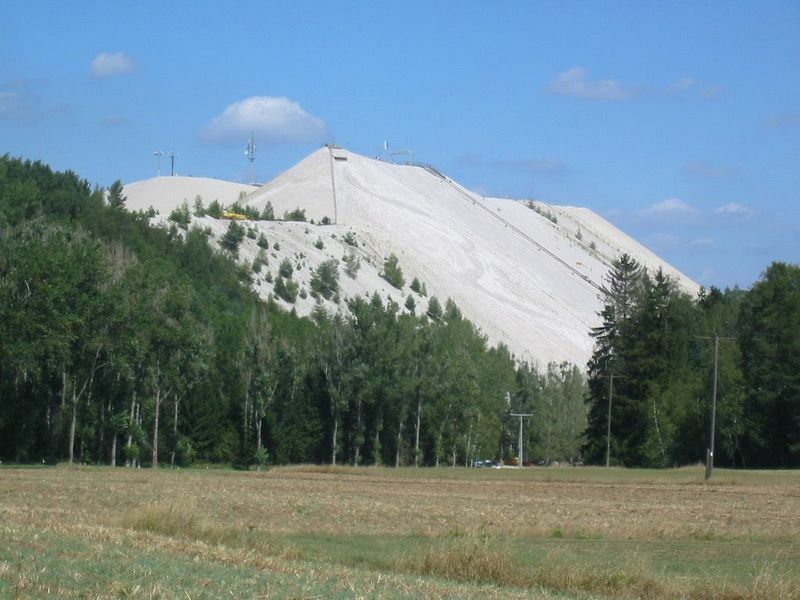 Mining of kaolin began in 1833, and as workers extracted quartz and kaolin from the sand-clay mixture, they tossed aside the leftover sand into a growing hill. A portion of the sand is used in the manufacture of glass and by construction industries, but a large part of the deposit remains unused. 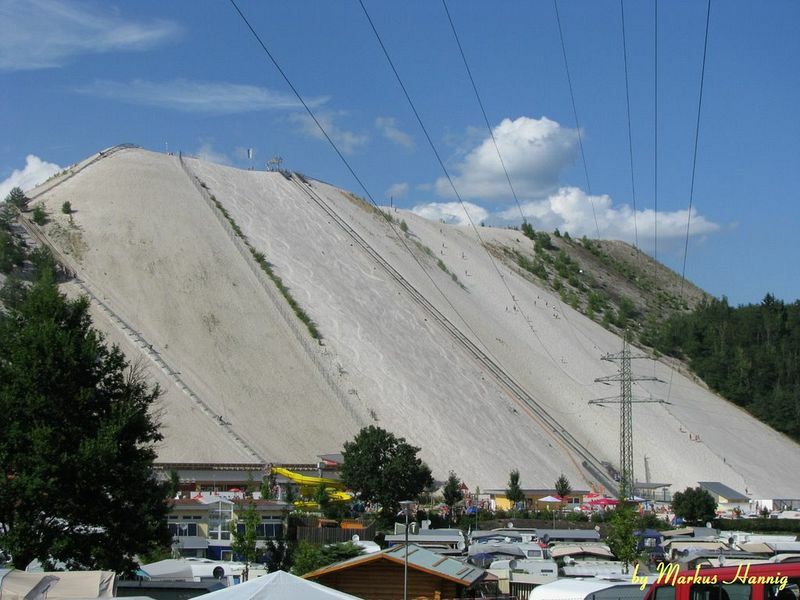 In 1957 an enterprising Hirschau local named Dobmeyer-Hans turned the hill into an amusement park after he discovered that people were using it for sand surfing. 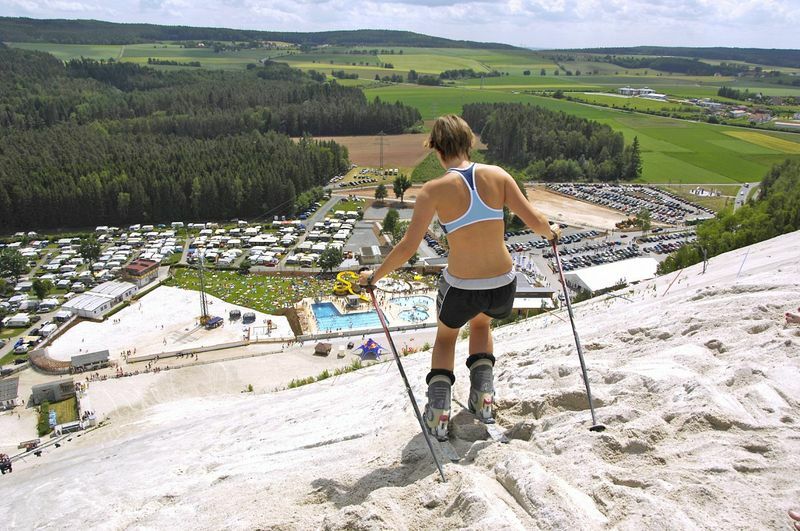 Today it draws crowds of Germans and Americans thrill-seekers from around Bavaria during summer. 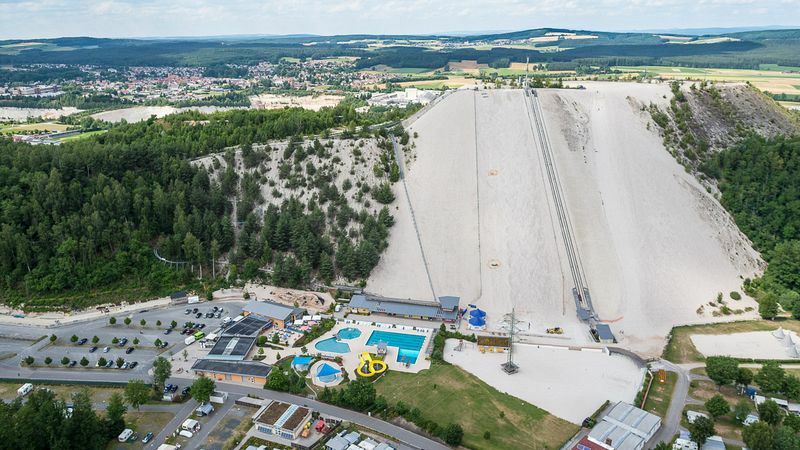 The amusement park has well maintained facilities for swimming, a handbrake coaster that rushes down the hill, and the opportunity to climb, ski or snowboard the sand slopes. 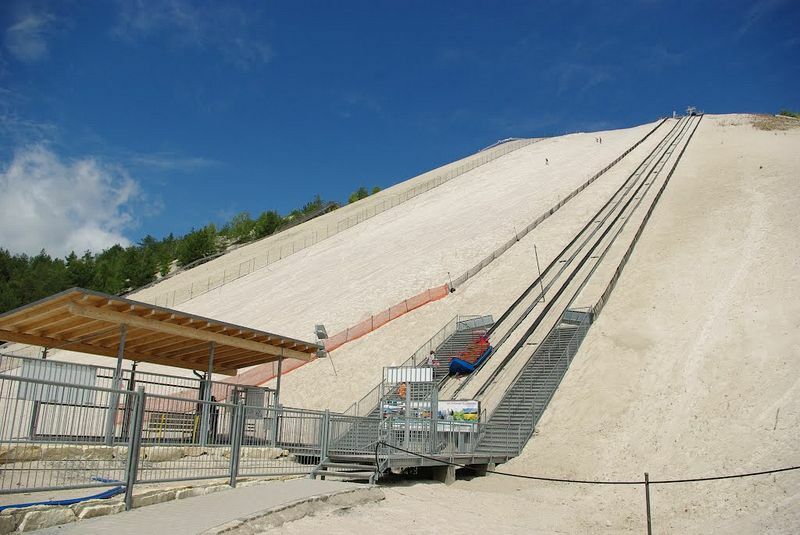 Visitors can either pay a small fee and be track lifted to the top, or attempt to climb the hill themselves. From the summit, one can have a commanding view of the region and the nearby mining operation. Mining is still going around Monte Kaolino, and the hill continues to grow — laterally — as a long conveyor belt relentlessly deposits sand on the northern slope of the heap. 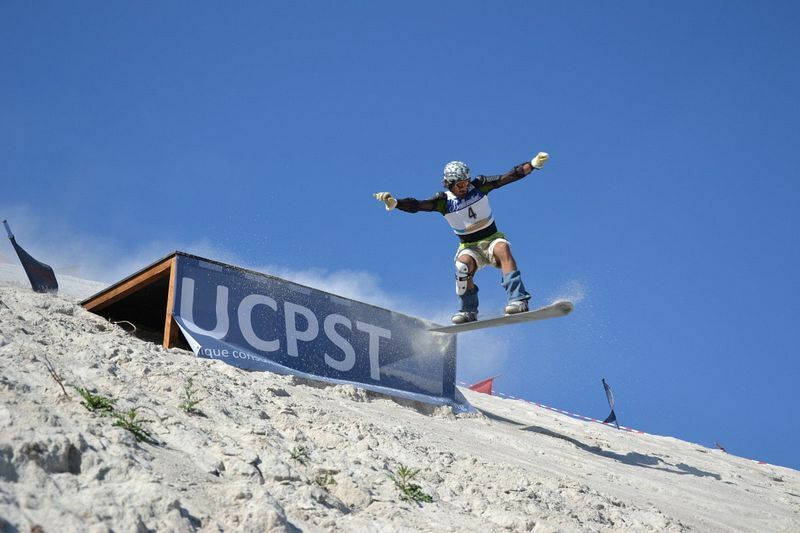 Monte Kaolino is also home to the Sandboarding World Championships.